On Friday, the Obama administration gave approval for a massive seismic testing program aimed at detecting oil and gas reserves in the Atlantic ocean and updating its geological surveys. The endeavor will employ deep-penetrating and high-resolution blasts of sound to survey the contours of the ocean floor in the search for offshore resources, sending sound waves into the deep and recording what they hear back. The testing, which will occur 20 miles to 430 miles offshore from Delaware to Orlando, Florida, was called a "sonogram of the Earth," by Andy Radford, a petroleum engineer at the American Petroleum Institute, an oil and gas trade association in Washington, D.C. But in reality, the project is not so innocuous. 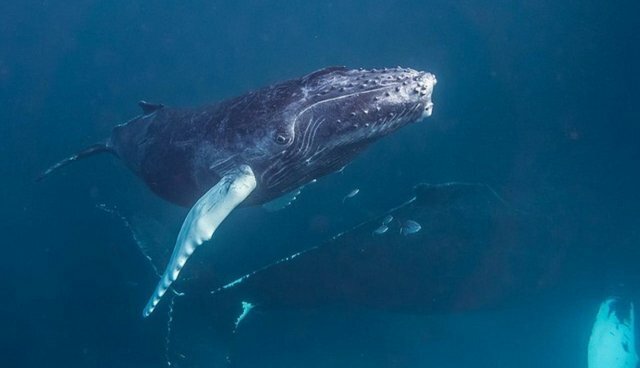 Ocean noise has been a huge problem for marine life for decades, especially sensitive marine mammals like whales and dolphins. 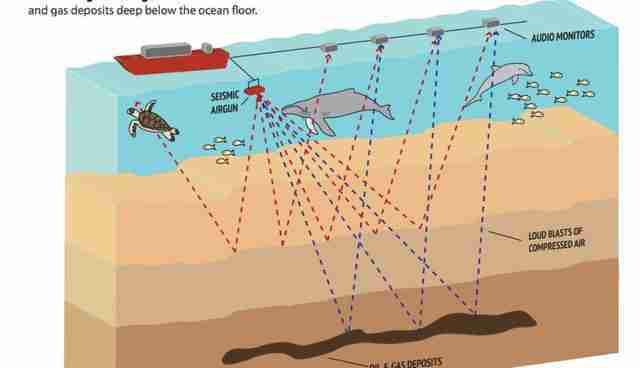 In a newly-released book titled "War of the Whales," journalist Josh Horowitz detailed how the U.S. Navy's seismic testing programs have saturated the oceans with sound, leading to mass strandings that killed countless whales. For whales and dolphins, whose most attuned sense, echolocation, is critical to feeding and survival, the constant barrage of noise could be disastrous. Scientists are already pushing back against the decision. "No one has been allowed to test anything like this on right whales," Scott Kraus, a right whale expert at the John H. Prescott Marine Laboratory in Boston, told AP, adding that the noise pollution could have a long-term impact on the already-precarious right whale population. The project has been heavily supported by oil and energy lobbyists, who are eyeing the 4.72 billion barrels of recoverable oil and 37.51 trillion cubic feet of natural gas sitting under the ocean floor. But, as many in the area know, with oil exploration comes the possibility of oil spills. The decision has already been called a stain on the environmental record of the Obama administration.